Contact Us Email Correspondence Dock Driver Directions Request Quote for Cast Steel Shot, Cast Steel Grit or Shot Bags! 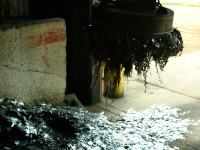 Founded in 1981, Metaltec Steel Abrasive Company is the only American steel shot producer to succeed in the manufacturing of low carbon, Bainite cast steel shot. 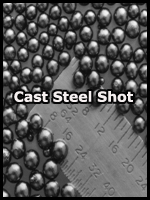 Metaltec's low carbon bainite cast steel shot is competitively priced, with the cost advantages of longer life. Metaltec's bainite cast steel shot meets the SAE J2175 cast steel shot specifications for hardness, density, sizing and general appearance. 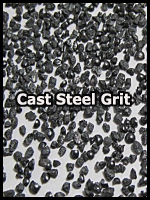 Our commitment to quality and customer service ensures complete satisfaction with all of our cast steel shot abrasive products. In 2009 Metaltec added a state of the art grit plant using some of the most modern production techniques. For more aggressive finishes a full range of SAE cast steel grit sizes are also available. Metaltec Steel Abrasive Co. forms on-going partnerships with our customers. Metaltec's experienced service professionals will evaluate your operations and equipment, recommend improvements and cost saving measures, guide abrasives selection, and conduct in-plant training sessions. The Scrap Surcharge is $477.00 per net ton. from the previous month. Thank you.